We Could Have Danced All Night….. Baked by Mary and decorated by Pauline…. 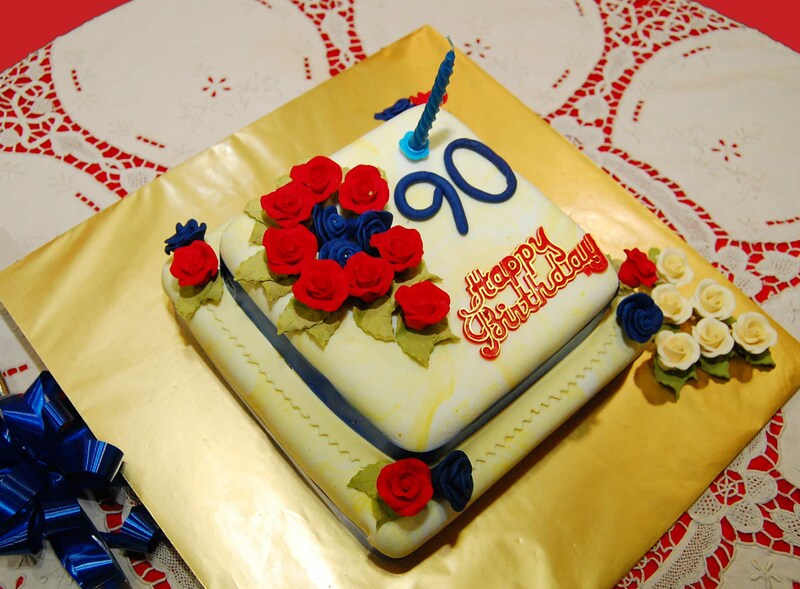 ..….at my recent 90th birthday celebration. Being the birthday boy, it was with sheer delight that I took to the floor for the first dance with my lovely wife Suzanne. 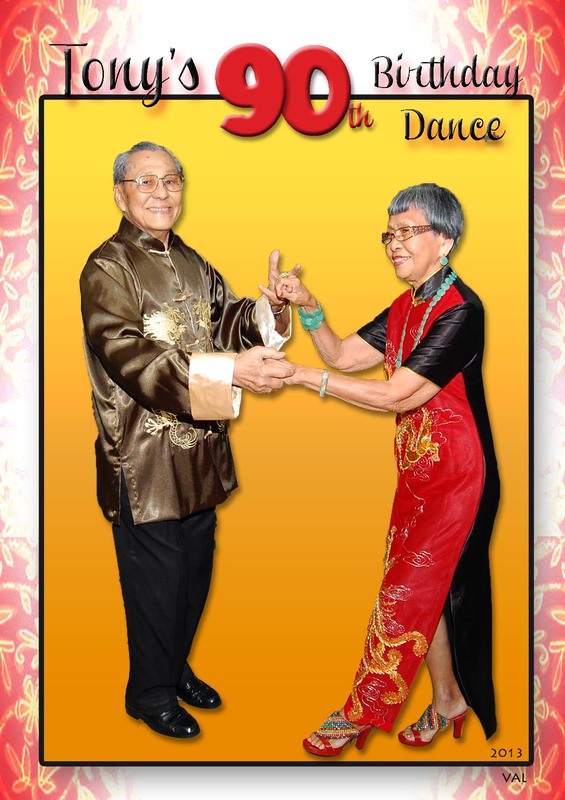 At 88 going on 89, she still dances nimbly on those high heels, while looking elegant in her sleek cheong-sum. We thank the good Lord for all those who graced the occasion with their heart-warming and honoured presence. It was indeed a blessing to be surrounded by closest of friends, loved ones and relatives from far and wide, for yet another joyous gathering of kindred spirits, good food, song and dance. After a few weeks of distractions, we must excuse ourselves profusely for not being more active online. 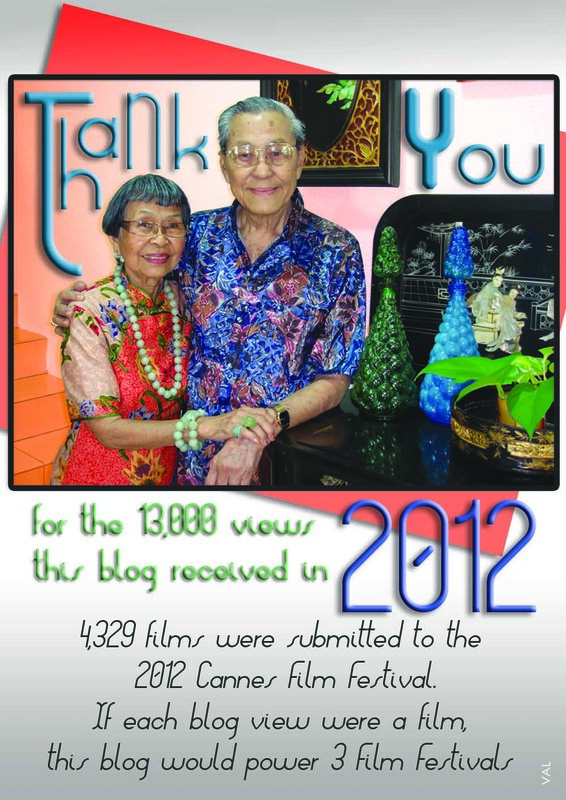 Almost in the same breath, we wish to express our heartfelt thanks and appreciation to everyone of our viewers from 89 countries, who helped chalk up a total of 13,000 views in the last 12 months. A considerable number, by our standards… do you agree? Of course without the wonderfully innovative and efficient team at wordpress, we would have never been able to ‘blog’ with such ease. On a fresh note, we start the New Year with a deeper appreciation of the fact that faith can move mountains, and that when the Lord closes one door on us, he is leading us to a different but better door. All we need to do is believe, have implicit faith that all is on a positive track and it will be so. Until the next post, let us make a small resolution of being nice to each other, and to start and end each day with thanks and praise for daily blessings. Suzanne and Tony – a stylish couple at 88 and 89 this year. We chanced upon a blog by a young man named Ari Seth Cohen who is waking the world to the fact that advancing in age can be made so much more interesting with one’s own sense of style. While Ari is preoccupied with talent-spotting ladies in New York City and bringing them into the spotlight via his Advanced Style blogspot, all ladies around the world will surely be able to identify with the varied thoughts of the ‘stars’ of Ari’s blog and about how they have arrived at their own stylish equilibrium, through the years. It is a most noble undertaking, what Ari is doing, as beauty evolves with maturity and one’s style takes on many forms. Most interestingly, the end result is unique to every individual. Read more about Ari’s wonderful efforts in Ari Seth Cohen’s Portraits of Older Women in New York Times. I so enjoy seeing how the ladies featured in his blog live life to the fullest and dress to the nines for no or any occasion on a daily basis. Such joy they derive from doing so, if not to please others, then just to please themselves. In my capacity as Director of the Penang Garabandal Centre , I am pleased to introduce you to the subject of Garabandal. 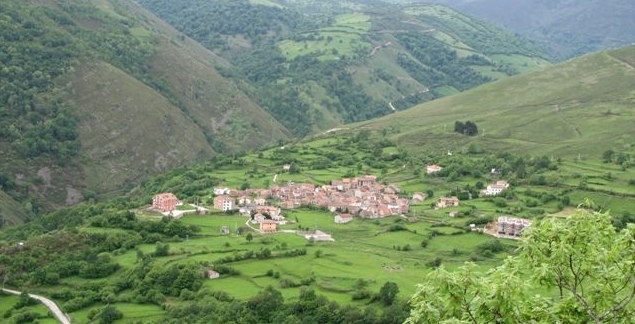 If you have not heard or read about Garabandal, it is the name of a hamlet – San Sebastian de Garabandal – located in the foothills of the Cantabrian mountains in Northern Spain . That is where four young schoolgirls were subjected to Marian apparitions from 2 July 1961 until 13 November 1965. During this period of time, the Blessed Virgin Mary appeared over 2000 times, which makes Garabandal unique in the history of Marian apparitions.The visitations drew huge crowds, and featured alleged paranormal phenomena, much of it filmed or photographed, with thousands of witnesses. The girls receiving the visions were Mari Loli Mazón (May 1, 1949 – April 20, 2009), Jacinta González (born April 27, 1949), Mari Cruz González (born June 21, 1950) and Conchita González (born Feb. 7, 1949). 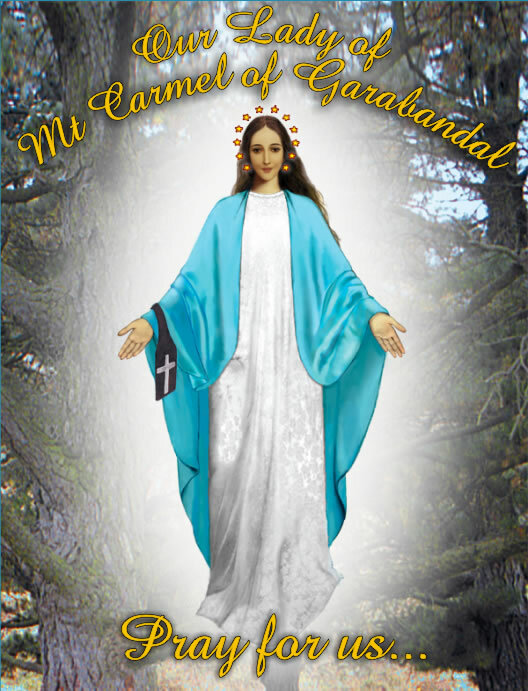 In this series of visitations, the Virgin Mary is often referred to as “Our Lady of Mount Carmel of Garabandal”, because she said that she was the Lady of Mount Carmel when the visionaries asked who she was. Besides that, her appearance, dress and hairstyle looked like portrayals of Our Lady of Mount Carmel. Lourdes, Fatima and Garabandal are one, a trilogy in an arc drawn through France, Portugal and Spain. Appearances in Spain are the key to the understanding of the Age of Mary in the Church. Garabandal is the bridge between what has happened and what is to come. 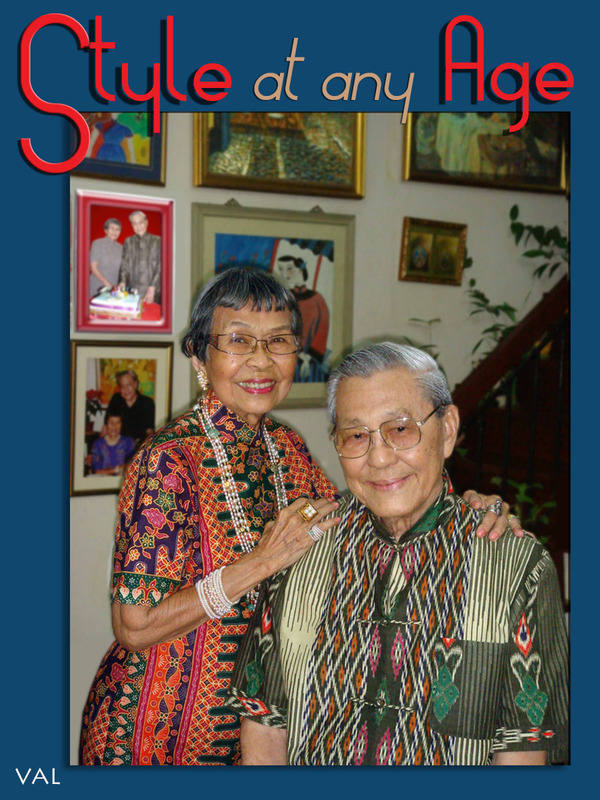 Today, Suzanne and I were humbled to find ourselves included in the list of interesting achievers as well as illustrious octogenarians… in a post entitled ‘is it worth living till 90?’ by seniorsaloud.blogpost.com. Our answer is…. most definitely… YES! My siblings all lived into their 90s. I being the youngest in the family, am a freshly-minted 89, while my eldest sister is still of very sound mind and fuelled by a feisty zest for life at 97. In our own ways, we certainly make the most of our daily lives. By the grace of God, we look forward to enjoying more of our Golden Years, filled with blessings from above. Besides keeping physically fit, Suzanne and I believe that one of the ‘tricks’ to keeping youthful is also to discover and learn new things constantly. We are always eager to jump onto a new bandwagon of learning, so to speak, as new knowledge and interests spark up our whole mindsets. This then takes on a domino effect of sending positive and wellness vibes into the rest of our miraculous systems. Hence the ‘bright- eyed and bushy tailed’ looks that light up our faces when we have come away with new snippets of know-how, on subjects that up until then, were completely out of our comprehension and grasp. The people at this site clearly explain the benefits of absorbing a new fact or two each day. 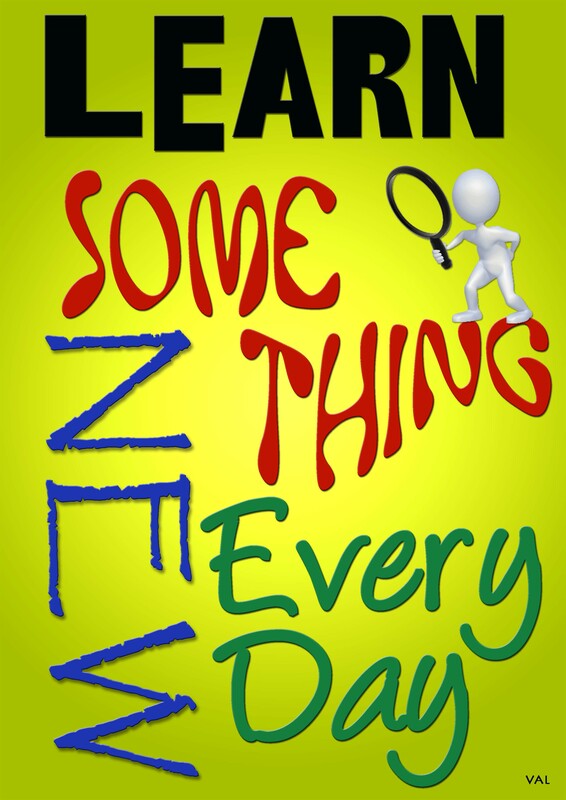 Yes it is as simple as that, in an effort to keep ourselves interested and interesting to others around us. Last but not least, some people subscribe to the practice of writing a list of ‘things to be thankful for’ on a daily basis. We do the same, but in the form of prayers, to thank and appreciate the good Lord for all our blessings. Amen.